​David de Gea could be ready to sign a new contract with Manchester United, as the goalkeeper reportedly feels enough has changed since Jose Mourinho's departure to convince him the club is once again heading in the right direction. The club triggered a one year extension to keep de Gea at the club until 2020 earlier in the season, but under Mourinho's tutelage, there was a growing concern that he would depart the club sooner rather than later, due to a desire to win trophies among other factors. 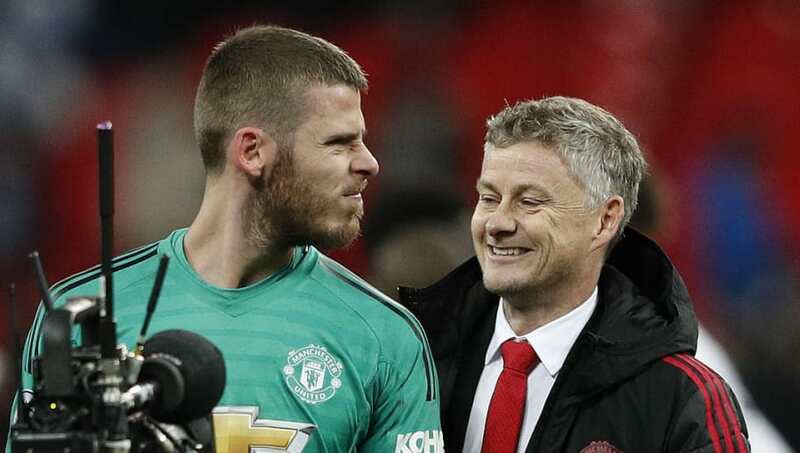 Ole Gunnar Solskjaer's arrival, however, has given the club a sense of resurgence, and having won their first six games under the Norwegian, ​the Mirror claim that ​de Gea now has a sense of renewed optimism. While he is now thought to be prepared to sign on for the long run in the right circumstances, however, it seems a long way from a done deal at present. It's expected that the 28-year-old will have astronomical contract demands, and it seems unlikely that ​United will meet those in the immediate future, faced with the turbulence of appointing a permanent manager and a sporting director in the next few months. The Spaniard's impressive display in the 1-0 win at ​Tottenham at the weekend, however, should serve as proof (if it was needed) that he is a central part to any success the club may have in the years to come, and tying him down long term could be one of the first orders of business under a new regime in 2019. In any case, it's another reason to be optimistic for those of a United persuasion, as they look ahead to the visit of Brighton on Saturday with a belief things are going in the right way once again.